Welcome LASSC’s new Committee Chair for Fiscal Year 2018-2019, Lisa Martellaro-Palmer, PE, MSCE. Lisa is extremely enthusiastic, knowledgeable, and full of innovative ideas. Let’s Look forward to Lisa’s stewardship in taking LASSC to the next level. 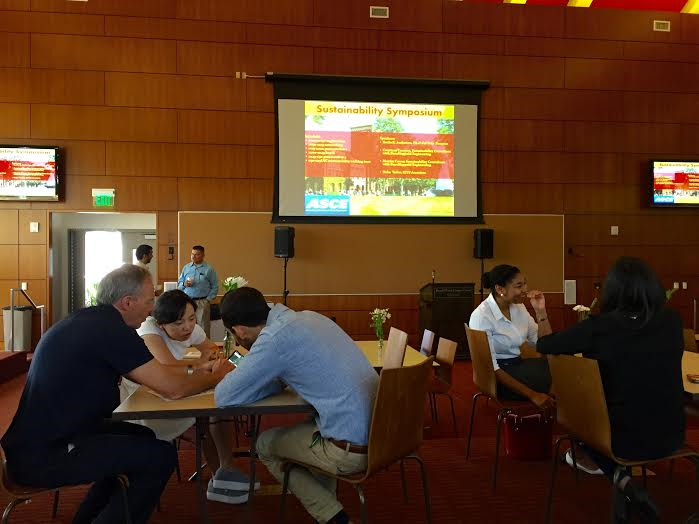 ASCE LASSC congratulates the Los Angeles County Department of Public Works for being the first government agency to credential 100 public works professionals as Envision Sustainability Professionals! If you would like to become certified as an Envision Sustainability Professional, please attend an Envision Training Workshop with an Envision certified trainer and then take the online test. There are also online training modules that can be viewed on your own time and then you can take the online test. This is an open book test. For more information, please go to the Institute for Sustainable Infrastructure at https://sustainableinfrastructure.org/envision-sustainability-professionals/ and click Training to become ENV SP certified. 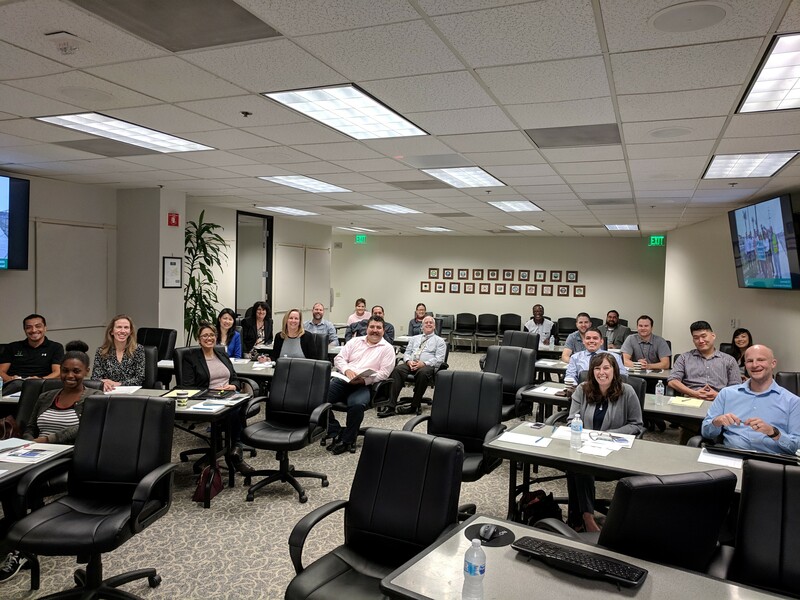 Sustainability professionals attended a Greenroads workshop in Irvine at the Transportation Corridor Agency (TCA) facility on November 5, 2018. Participants were introduced to Greenroads which is a rating system for sustainable transportation projects. Greenroads was established in 2010 and modeled its rating system after the LEED Program. Participants learned about Greenroads projects that had received Bronze, Silver or Gold Certification. For agencies getting acquainted with the rating system, a "Pilot Project" distinction can show that the project was designed and constructed with green objectives. The rating system has five core areas which are Environment and Water, Construction Activities, Materials and Design, Utilities and Controls, and Access and Livability. We were encouraged to pursue our Sustainable Transportation Professional (STP) Certification and promote green, sustainable infrastructure projects. You can learn more at Greenroads.org. 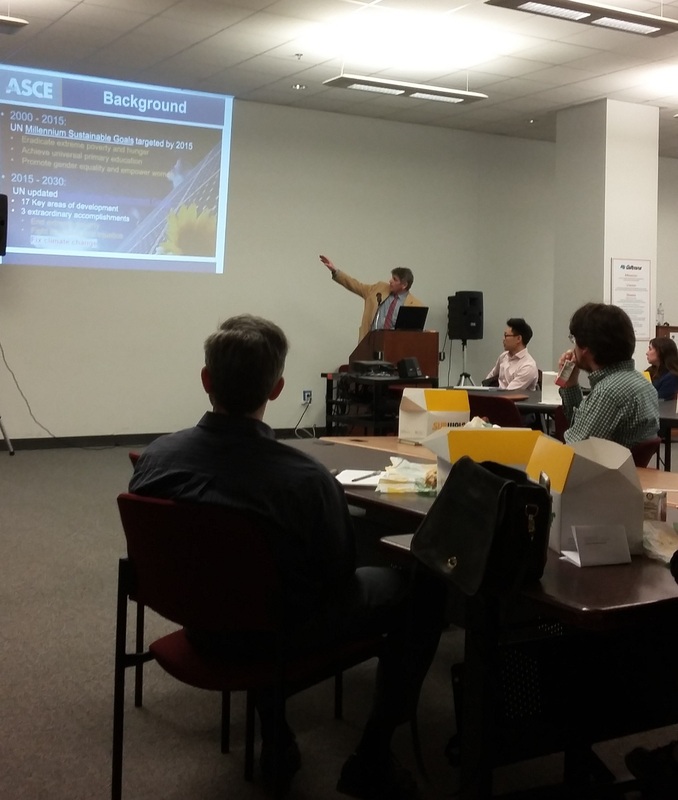 The ASCE Los Angeles Section Sustainability Committee is an agent for enhancing our community and our quality of life through environmentally, socially, and economically responsible civil engineering practices within the Los Angeles Section in a manner consistent with the purposes of ASCE. Promote, practice, and advocate sustainability principles through professional development, innovation, and outreach activities within the Los Angeles Section. Lead the civil engineering community in the Los Angeles Section to become practitioners of sustainable civil engineering principles and practices. 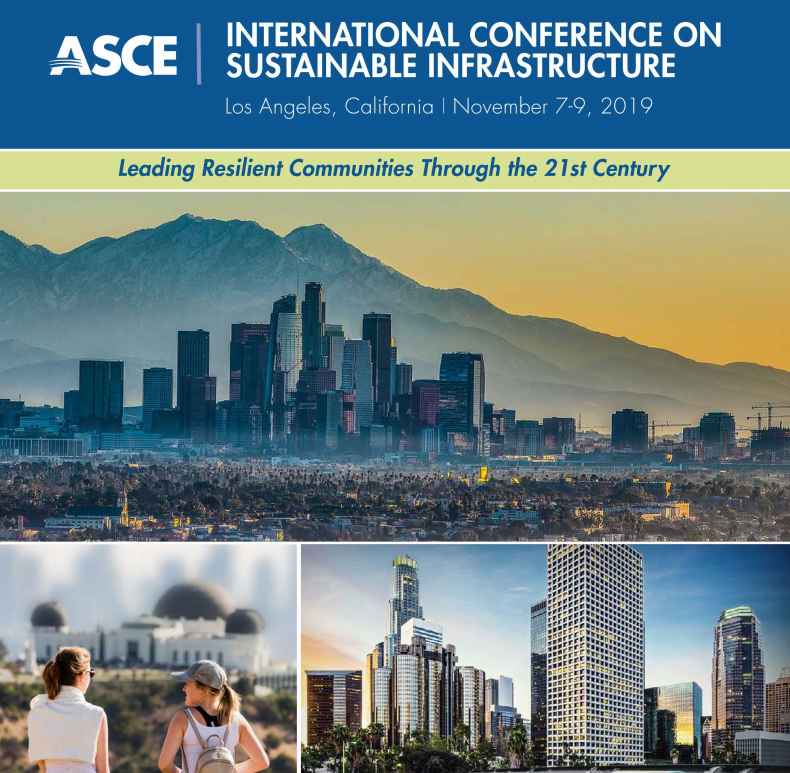 Generate ideas and to identify potential opportunities and strategies that will expand and enhance the leadership role of ASCE Los Angeles Section in advancing science, engineering and technology and in building capacity for sustainable development in a local perspective. Use partnerships and coalition building opportunities that will promote and encourage sustainable engineering education and practice. The Sustainability Committee currently meets monthly by teleconference call on the third Wednesday of the month from 11:30 am to 12:30 pm, Pacific Time. Please contact the current Chair, Lisa Martellaro-Palmer, at [email protected] for details and to be added to the group. The Sustainability Committee held its first organizational meeting on March 13, 2008. While the Committee has roughly maintained about ten members since its inception, we are continually seeking new individuals and partner organizations to join our mission. To successfully bring sustainability into the forefront of civil engineering there must be a collaborative effort that includes stakeholders and practitioners at all levels of development. 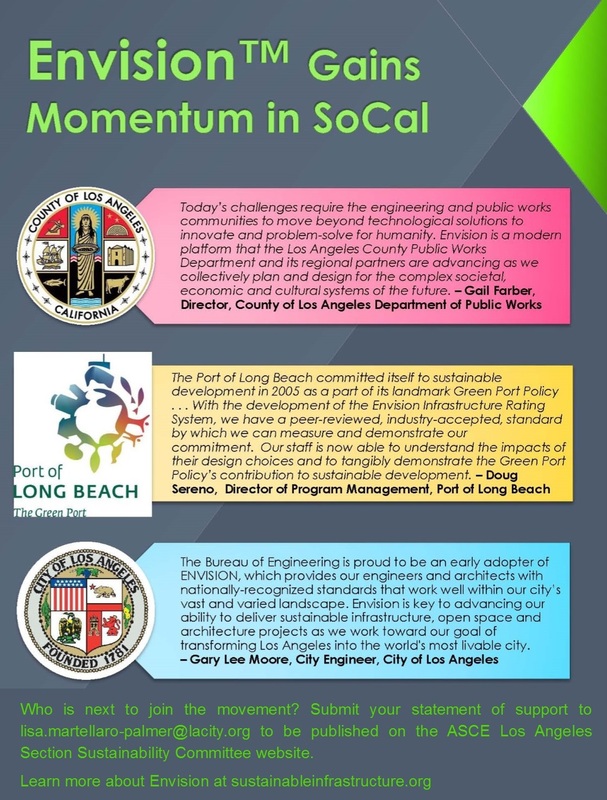 The Los Angeles Committee has engaged the local community on Sustainability at various events and looks forward to the many more to come. Article published in The Poly Post.